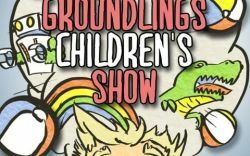 The Groundlings Children's Show with Brian Palermo and more. The Groundlings are known for their improvisational, comedic actors. In this show, a bunch of professional adults will perform a show of improv games for kids and families! Expect lots of laughs and silliness. Great for ages 4 - 12, plus any grownups. You'll see a LOT of actors that you'll recognize from TV and movies.